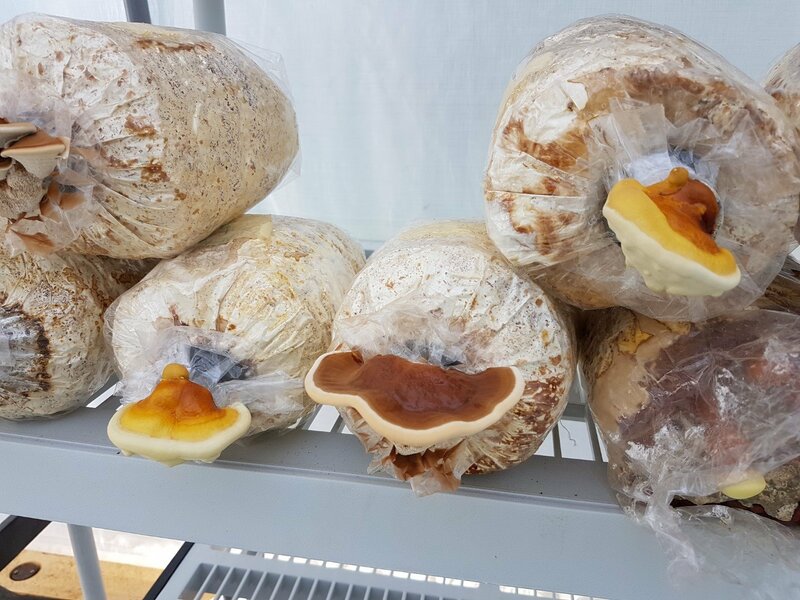 We harvested all our Reishi we had growing in our fungi greenhouse. We used our new “collar” method and it worked really well! We know we left them growing a bit too long but we had so many people touring the farm we wanted to share their beauty. The next photo shows what some of them looked like in the middle of July. We harvested them the last week of August. Next up – learning tinctures and decoctions. Always something exciting!